South Korea’s Supreme Court partially ruled in favor of the Fair Trade Commission (FTC) in its longstanding legal fight with U.S. chipmaker Qualcomm over fines for unfair practices to cement its monopolistic position. The Supreme Court announced Monday that Qualcomm should pay at least 200 billion won in penalty out of total 273.2 billion won ($242.9 million) slapped by the FTC as it concluded the FTC’s action was legitimate. The Supreme Court, however, sent the case back to the lower Seoul High Court for reconsideration on the fine. It judged that some part of the penalty related to rebates paid by Qualcomm to LG on condition to use its radio frequency (RF) chips should be canceled because it found the practice didn’t have a significant damage on market competition as argued by the FTC. In July 2009, the FTC fined Qualcomm 237.2 billion won for providing incentives to local smartphone makers including Samsung Electronics, LG Electronics and Pantech to encourage them to use its code division multiple access (CDMA) technology since April 2004. The watchdog also found that the U.S. chipmaker quarterly paid millions of dollars in rebate to Samsung and LG since July 2000 to ask them to increase the use of its chips. In early 2010, three Qualcomm units – Qualcomm, Qualcomm Korea and Qualcomm CDMA Technologies Korea - filed a suit against the FTC’s decision. 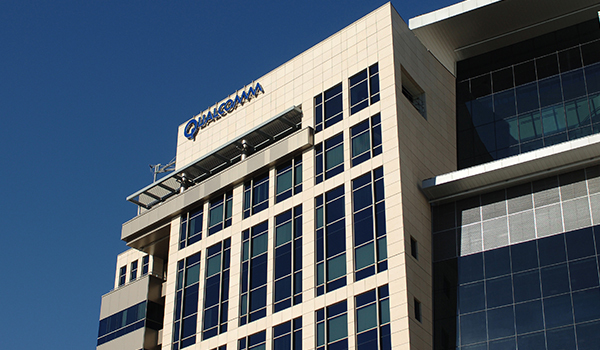 Qualcomm and the FTC engaged in a separate legal battle over the largest-ever fine of 1.03 trillion won imposed on Qualcomm in December 2016 for allegedly abusing its power in chip supplies and patent licensing.